to come together and defeat their toughest enemies yet! Finally, Warner listened. Although I’d prefer entire season sets, this release containing the last 14 episodes of the series’ first season was a step up from previous volumes. In this volume, we see the continued evolution of the Young Justice team, sidekicks from DC’s pantheon of heroes who are training under the eyes of the Justice League themselves to be used as a secret weapon if the necessity arises. One of the truly special things about this series is the complete and total embrace of the DC Universe. The series also successfully maintains a fairly dense storyline that only benefits from this release with more episodes. One of the really fantastic things is how dense the series is with characters. 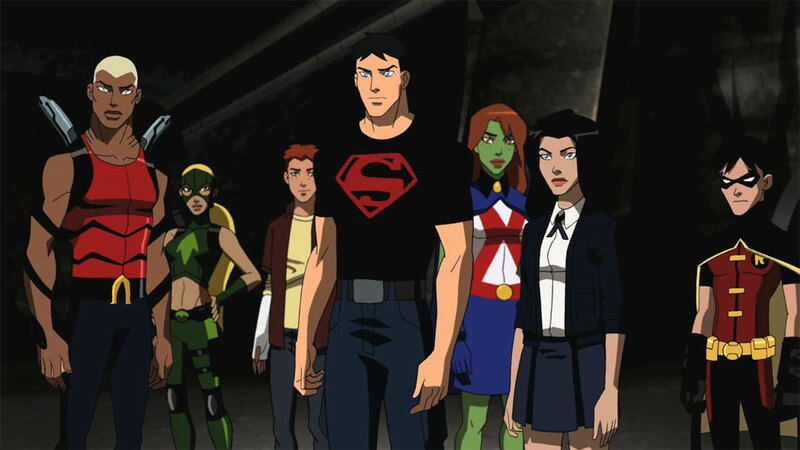 Just in these fourteen episodes, there are appearances by Robin, Miss Martian, Superboy, Aqualad, Kid Flash, Desaad, Batman, Black Canary, Martian Manhunter, Red Arrow, Marvin White, Wendy Harris, Mal Duncan, Captain Marvel, Snapper Carr, Zatanna, Zatara, Felix Faust, Commissoner Gordon, Klarion the Witch Boy, Cat Grant, Dr. Fate, Garfield Logan, Paul Sloane, Psimon, Brain, Green Arrow, Count Vertigo, Vandal Savage, Iris Allen, Hugo Strange, Superman, Wade Eiling, Jason Bard, John Steward, T. O. Morrow, Red Tornado, Black Canary, Professor Ivo, Sportsmaster, Cheshire, Monsieur Mallah, Ra’s al Ghul, The Riddler, King Faraday, Parasite, Mr. Tawny, The Joker, Poison Ivy, Ultra-Humanite, Lex Luthor, Dubbilex, Aquaman, Flash, Guardian and Wonder Woman. 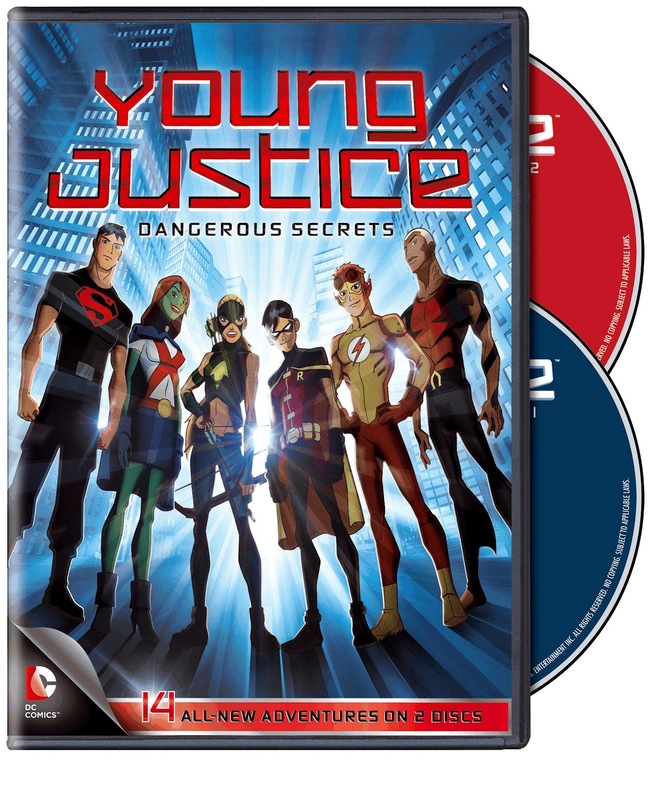 Young Justice: Dangerous Secrets features the best episodes of the first season, as the writers certainly eased into the bigger story. Voicework is phenomenal and although extras are slight (a digital comic that’s near impossible to read onscreen and some trailers), the real star is the material itself, over four hours of enthralling and entertaining super-heroics. It might be for the kids, but they won’t appreciate the sharp writing and characterization as much as older viewers. Bring on season two! Highly recommended.